A magical time that every woman awaits to have in her lifetime, to carry a soul within her, being pregnant is such an inspirational time for any woman. 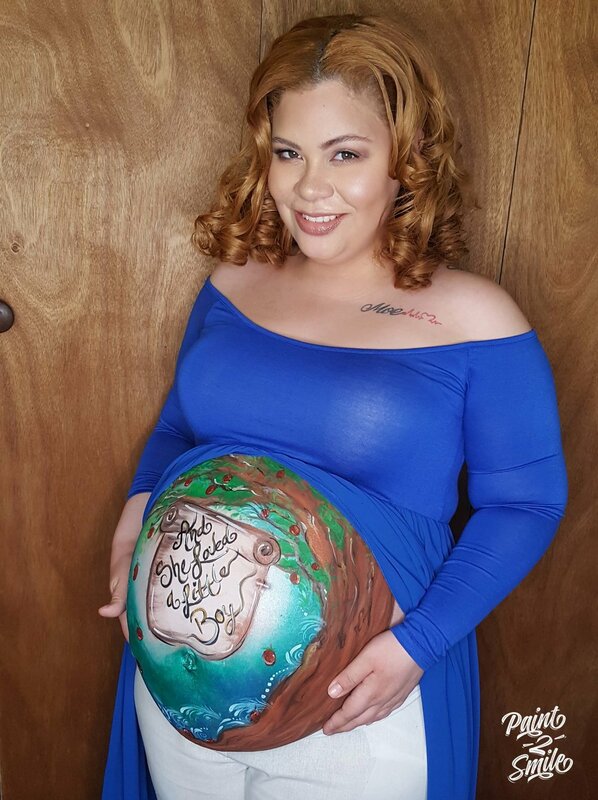 What a better way to capture it than in a beautiful belly painting. You can turn your belly into a beautiful bow, panda, mandala or just a beautiful quote. Laura loves to create personalized designs for such a special time in a woman's life. This is a memorable way to capture this special moment and also create unique family portraits. Laura speaks to the mom a couple of times before the painting so that both can create and plan a unique and personalized design. Laura also offers a photo package in which you can get 4 or more high resolution edited photos. Laura had the pleasure to paint at the Today's Show along with 20 other face and body artists for the Launching of Sarah Blakey's Belly Art Project. Click here to see Laura painting LIVE at the Today Show!!! Visit our face painting galleries to see more beautiful SMILES!!! !